From 28 C in Mijas, Spain to 5 C in Krems, Austria! Yesterday I arrived in Krems, Austria where I am residing on holiday from Mijas, Spain. It was a chilly 5 degrees C (41 F with snow flurries) when I arrived in Krems which is in stark contrast to the 28 degrees C (82 F with people sunbathing on the beach) when I left Spain! After six months in Spain my lease had expired and people are returning for the hot Summer. 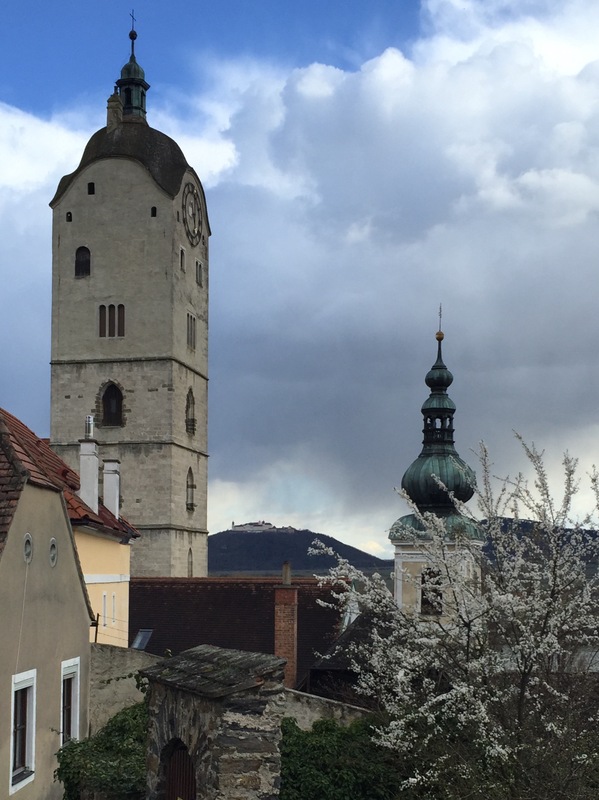 My plan has been to stop next in Austria for several months and Krems became my choice after visiting in January. 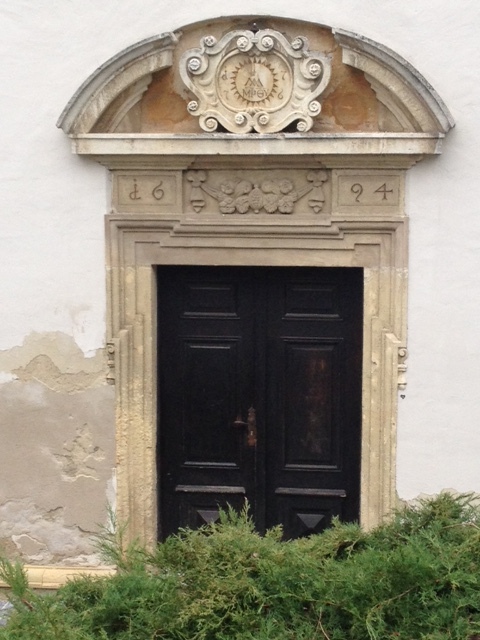 I am posting a few scenes of the architecture in Krems. 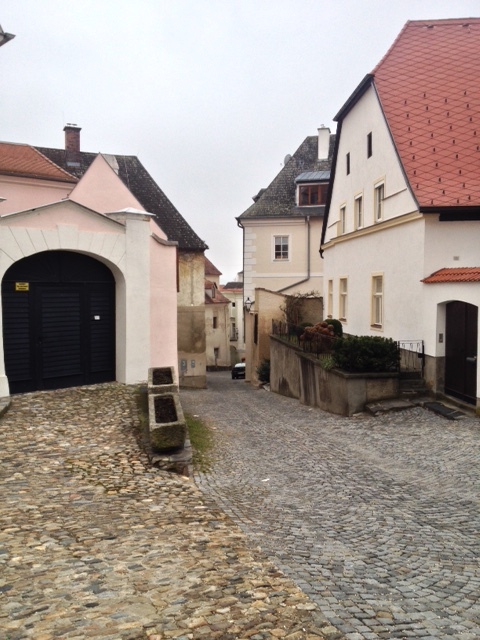 The town of approximately 25,000 may be the oldest in Austria. A few years ago a child’s grave was found in Krems and is thought to be more than 27,000 years old! The town is along the Danube (Donau) River and is easily accessible by train to nearby Vienna and elsewhere throughout Austria. Many tourists will soon be arriving by bus, boat and train to explore hiking trails, the river, food, culture, architecture and nearby castles. Since I like these things too, I will be a tourist for the next few months! On arrival my landlord recommended I eat at El Gozo in Krems. It is his favorite restaurant so I met Lu, the owner. She is recently from Madrid and enjoyed helping me order tapas and wine. The food and value were outstanding and I have written a separate review of the restaurant on TripAdvisor. What a coincidence arriving from Spain and eating my first dinner at the sole Spanish restaurant in town! After eating I had planned to shop for groceries… after all it was only 8:00 PM. Lu reminded me that in Krems, the grocery stores close at 7:00 PM which is sharp contrast to life in Spain where things are just beginning then for the evening! So I went grocery shopping today! 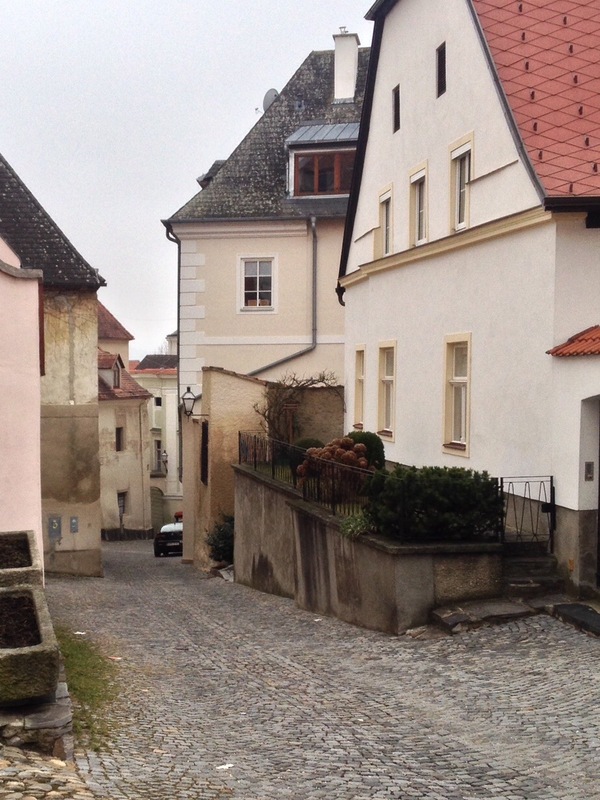 More to come so please return to my blog in the future and read about my adventure in Krems an der Donau! Author barryadayPosted on April 2, 2015 April 2, 2015 Categories austria, Barry Day, KremsTags austria, Barry Day, krems, Spain, tapasLeave a comment on From 28 C in Mijas, Spain to 5 C in Krems, Austria! Here’s an update on my adventure following retirement. Read about what’s happening and my plans for my next stop. 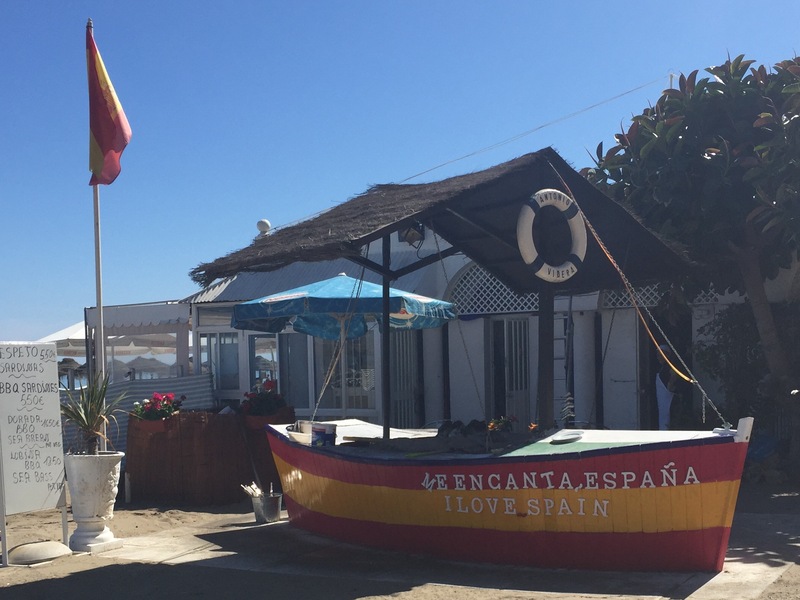 It has been several weeks since I blogged about my odyssey to obtain my residence card from Spain. Hopefully, when I go to the local police station to retrieve it on 16 February, everything will be found to be in order and I can be granted residency. A lot has transpired since my last update! Recently I was out for a walk and on a whim just decided to begin hiking up the 1600 meter mountain I live on (see the photo). You may recall from a previous posting that I did this once before in October and got thoroughly soaked. This time I took a different trail and went a good deal higher up the mountain than I had previously. Probably I made it half way up. You can see a picture of the white pueblo in the photo from Fuengriola, Spain. As you can see in the other photo, the views from the side of the mountain where I went to are terrific! 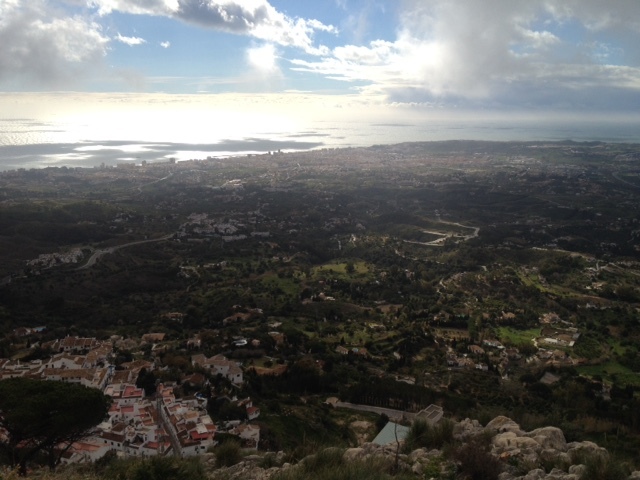 Mijas is the white area in the lower left corner and the Mediterranean Sea is in the middle left. I could have gone much higher on the trail but decided to not for three reasons. Since I was really out for a stroll, I didn’t have proper shoes as the trail became more challenging. I also hadn’t brought along water (not a good idea on a hike) and I didn’t bring any protection if it rained. The getting wet part really was the clincher as the clouds became threatening and were enveloping the top of the mountain. I went back down the mountain to Mijas and it promptly began to rain. I had made a good decision to return when I did! Other things have been happening also. One day in December I lifted a canister of butane incorrectly and developed a hernia. My tests are complete and my worldwide medical coverage is in place so I am to have surgery on Thursday to fix it. The surgeon, anesthesiologist, and staff are all women and so far the process has been very efficient. I admit though that I am more involved with the insurance company than I would be in the U.S. 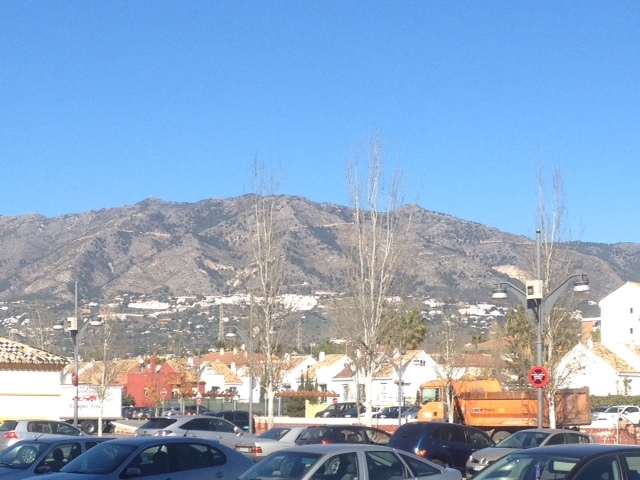 Finally, my stay in Mijas will end on 31 March. 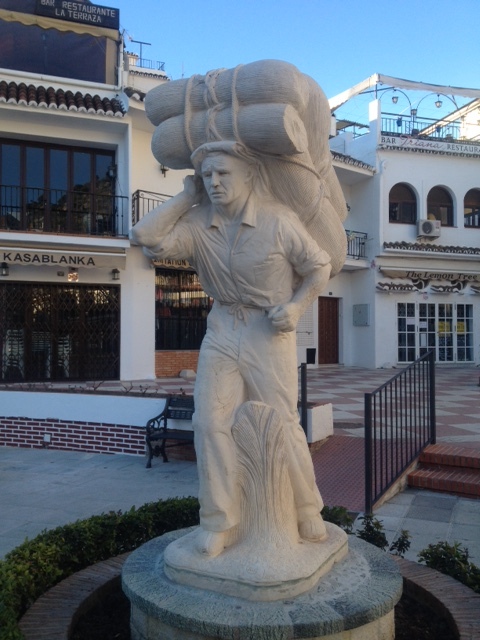 I have made my next plan to move from Mijas on 1 April. My next stop then will be in Krems, Austria where I will stay for two months. I will post more about Krems in the future. 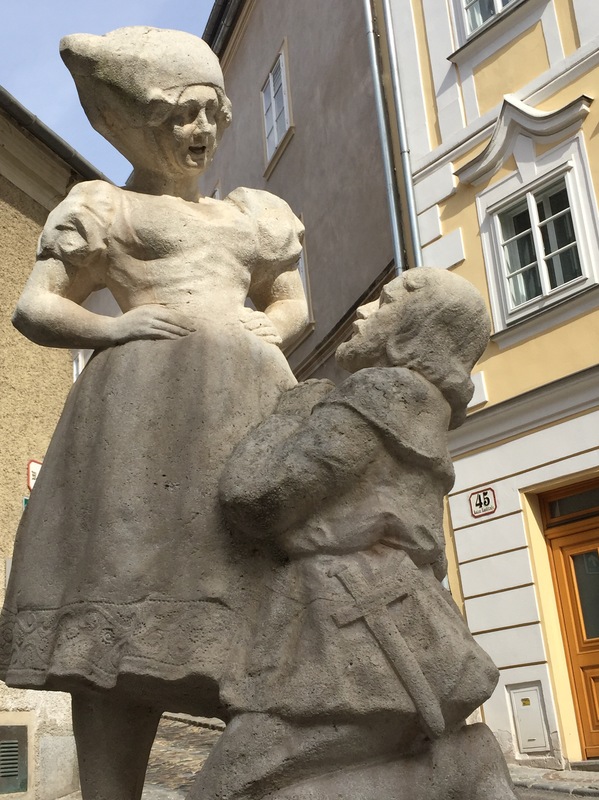 It is a lovely town of about 25,000 inhabitants and is located on the Danube River about an hour by train from Vienna.Here are a couple photos. That’s all for now from my adventure after retirement! I don’t think about work at all!